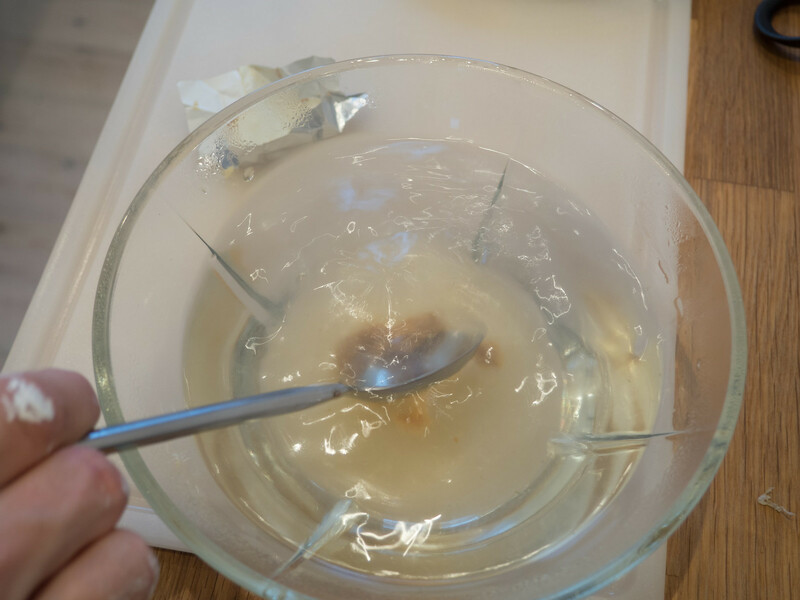 This recipe I am sharing here on this page is actually as far away from the traditional Nordic kitchen as it can possibly get. 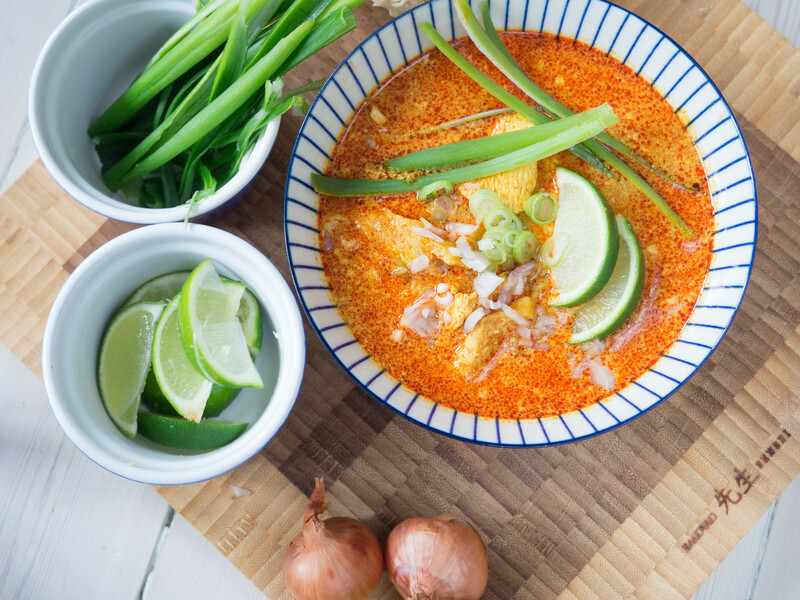 However, this recipe for a chicken red chili curry is just fantastic – the taste is very rich and it just has the right amount of spicy flavor from the red curry paste. This is overall a super delicious dish. Besides being very delicious, it is also very simple to make. I uses this recipe when I want to prepare some fast but also when I want a good looking and tasteful dish – perfect when you are having guests over for dinner. 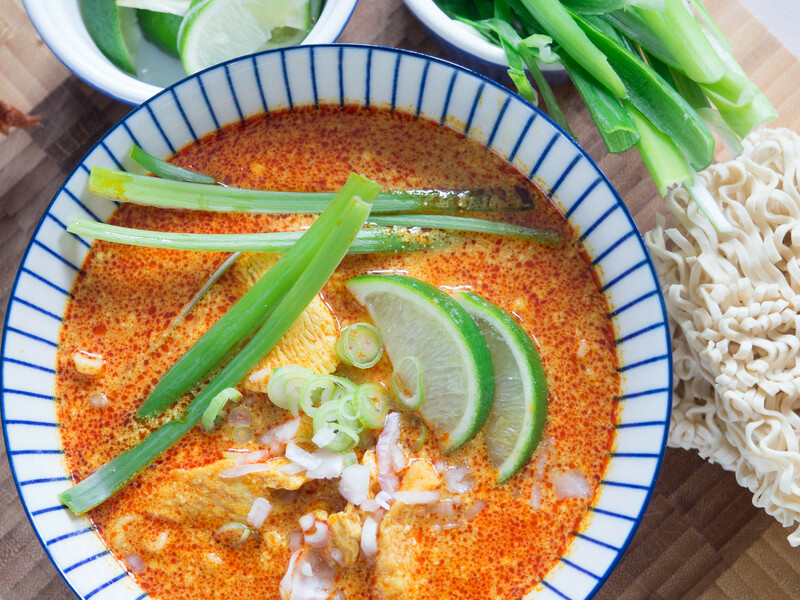 The name of this dish is called Chiang Mai Curry Noodles (Kao Soi) and it is originally from the northern part of Thailand. Chiang Mai is the name of a city located in a mountain area. 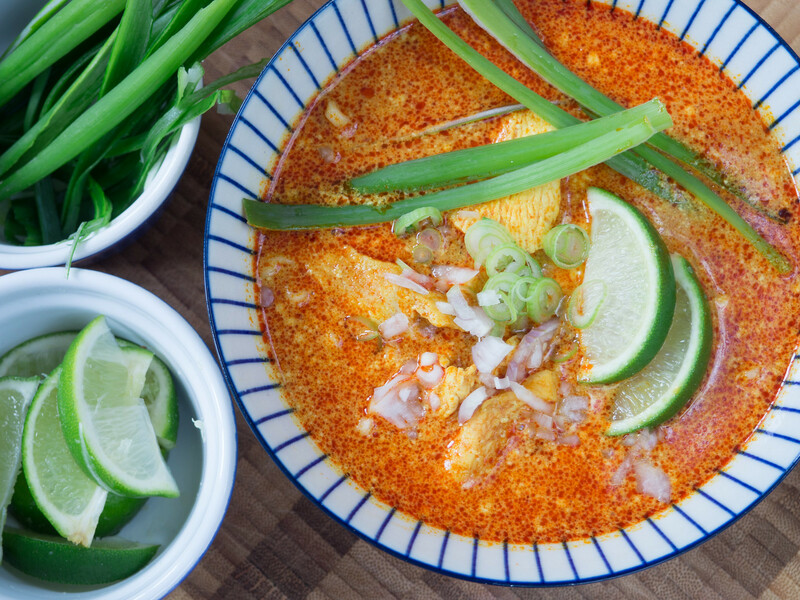 The ‘Kao Soi’ translated means ‘a meal for one’, which is typically served in a larger bowl. Personally, I do not eat that much Thai food but when I do, this is absolutely my favorite Thai dish. I have never visit Thailand but this dish want to make me pack my suitcase right away and take the first Thailand bound plane. I learned about this dish the first time, when it was served for me at a fantastic Thai restaurant located in Copenhagen. This restaurant is called Wokshop and has several branches located different places throughout Copenhagen and the suburbs. As said above, this dish is actually easy to prepare once you have the right ingredients. 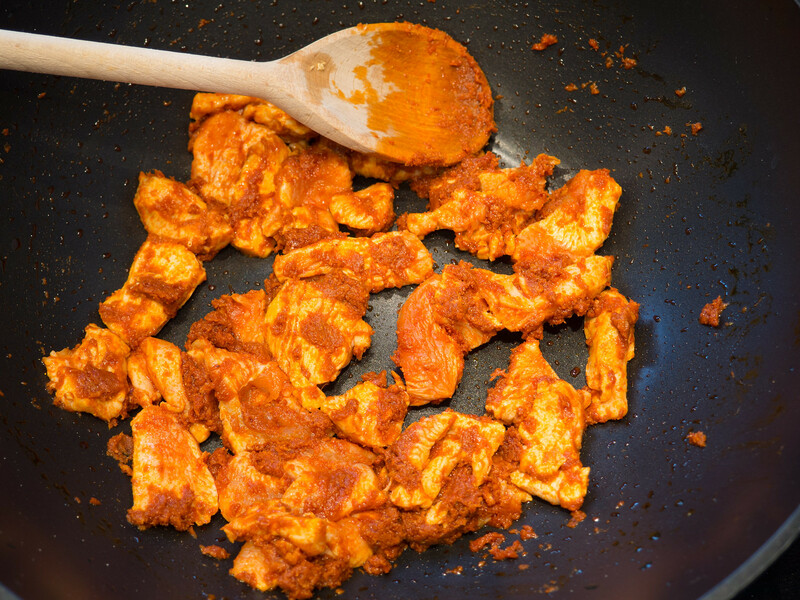 You start by gently frying the garlic, red curry paste and the chicken. 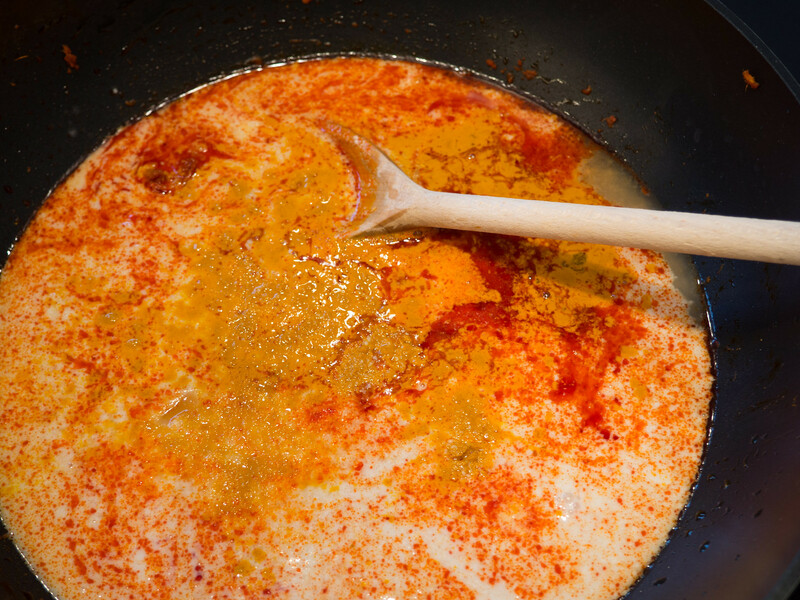 Then you add some chicken broth, coconut milk, Turmeric, soya sauce and salt. Let everything simmer for about 10-15 minutes while you prepare some noodles, which will be served together with the curry. After the small cooking time the curry is ready to be served. 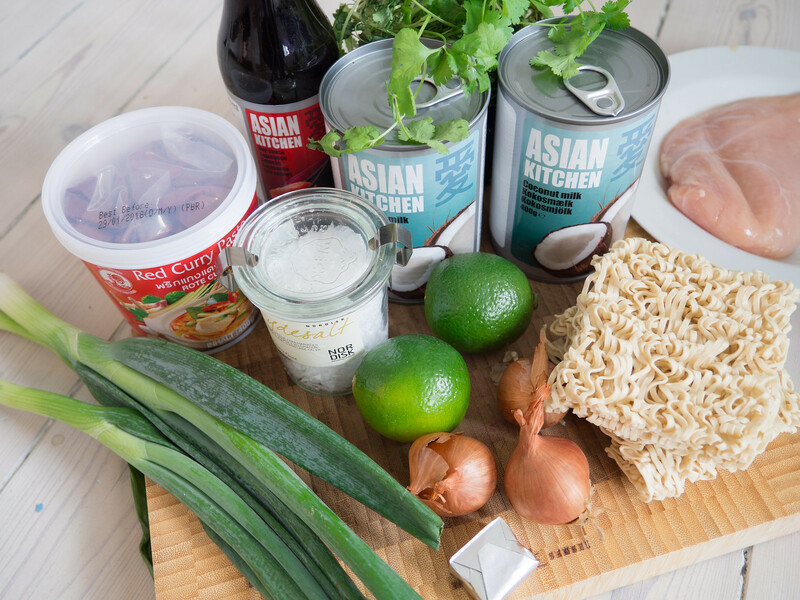 I normally serve this curry in a deep dinner bowl topped with finely chopped shallots, spring onions and lime wedges, which are to be used according to each person’s personally preferences. 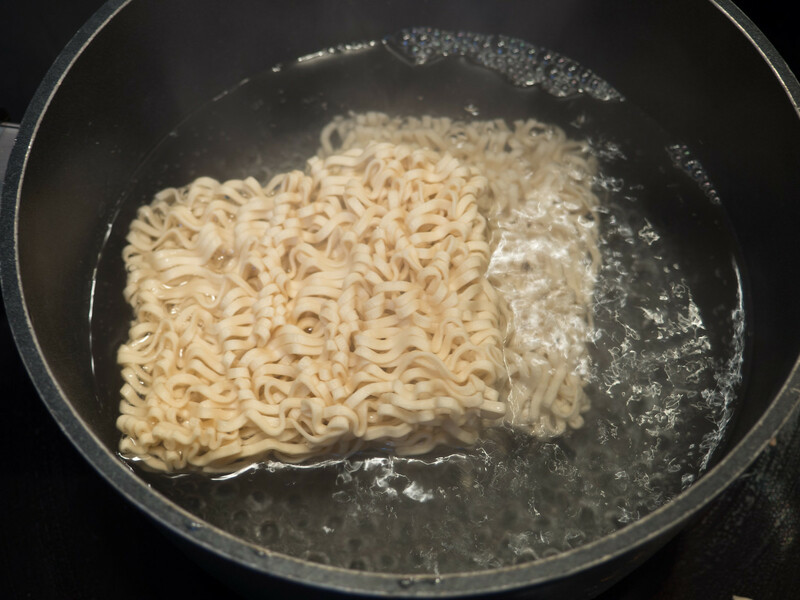 It is that easy to make this great dish. I would be happy to hear from you in the comment section if you also like this dish as I do or maybe if you have a great tip how to improve the recipe. 1. 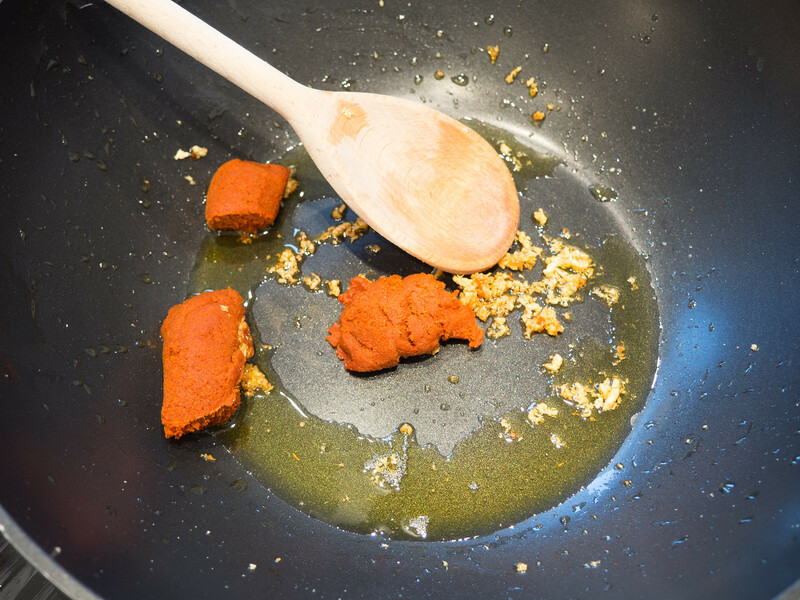 In a saucepan or wok pan; heat up the vegetable oil and add the finely chopped garlic. 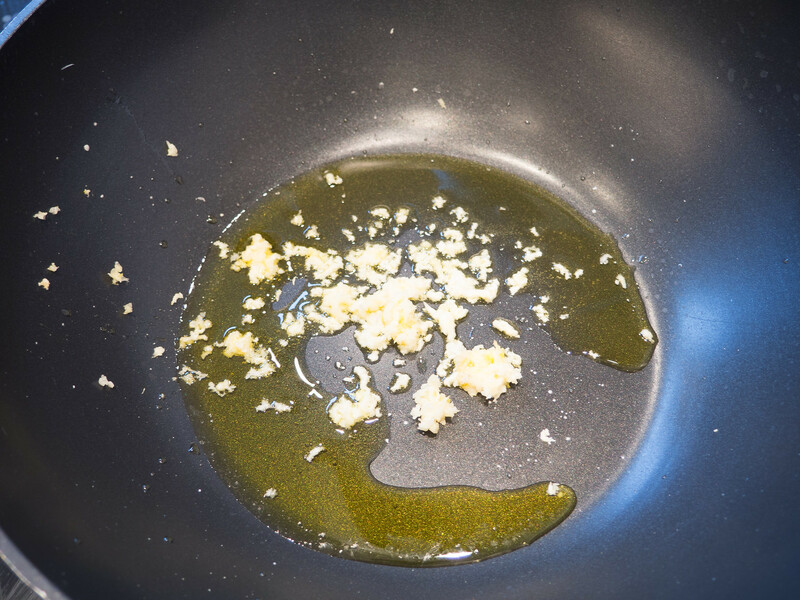 Fry the garlic for about 1-2 minutes. 2. 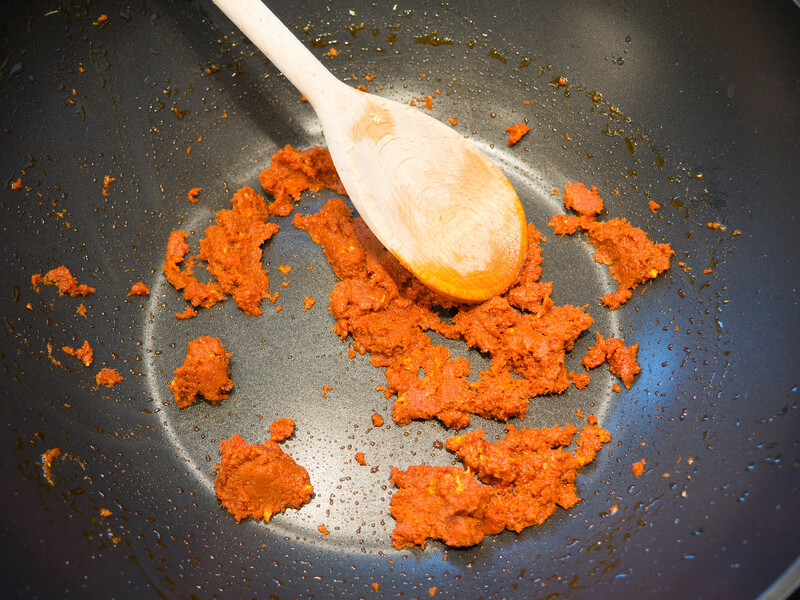 Add the red curry paste, stir and mash it together with the oil. Fry for about one minutes. 3. 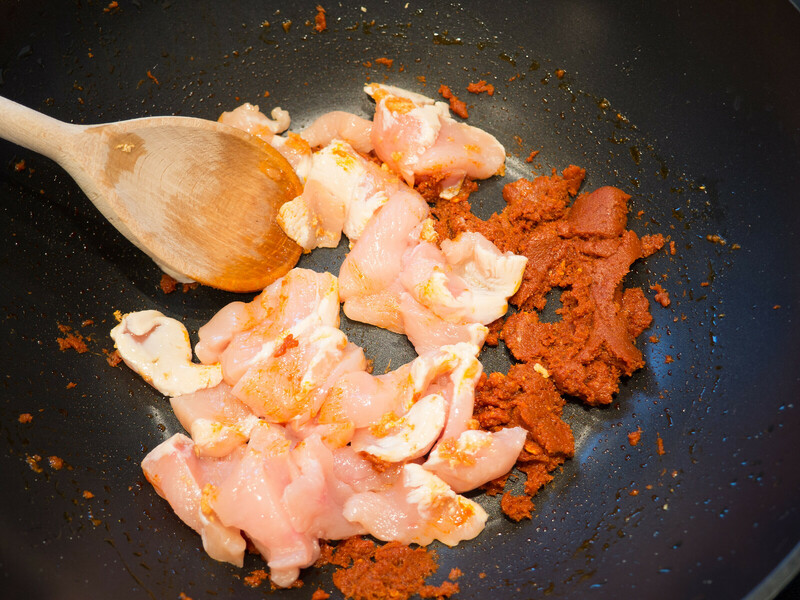 Cut the chicken breast into bite sized pieces and add it to the saucepan. Fry the chicken for about 1-2 minutes until it starts to be brown. 4. Add the coconut milk, chicken broth, soy sauce, sugar, salt, and turmeric powder. 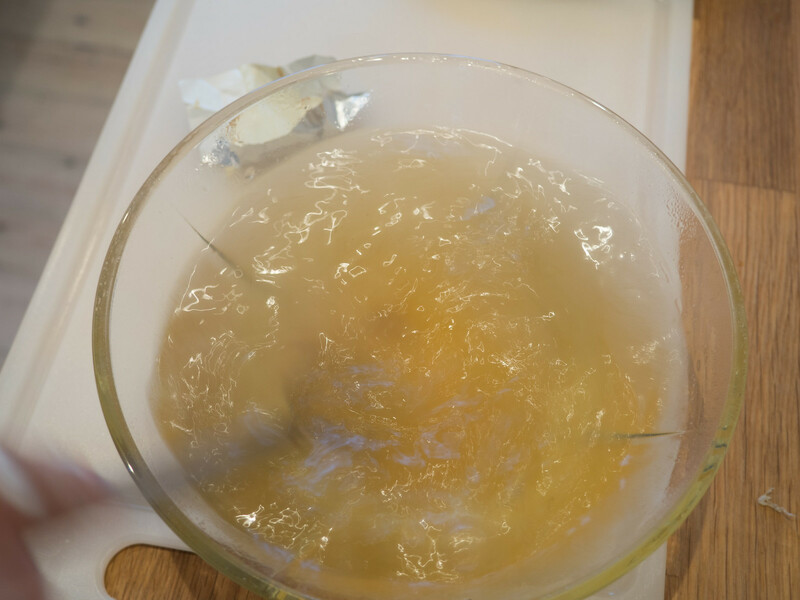 Stir well and bring everything to a gentle boil. Then turn down the heat and let it simmer for about 10 minutes. 5. Prepare the noodles according to the instructions on the box it came in. 6. 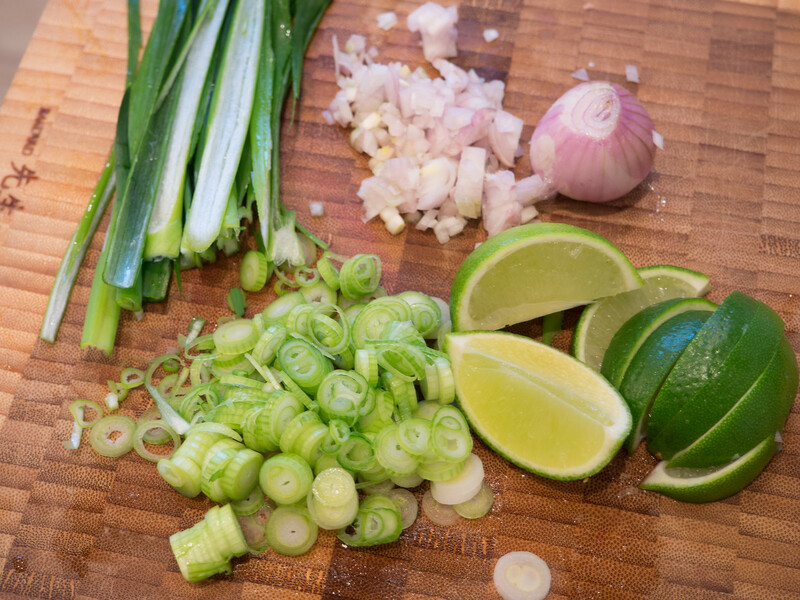 Prepare the topping; finely chop the shallots, the green onions and the cilantro. 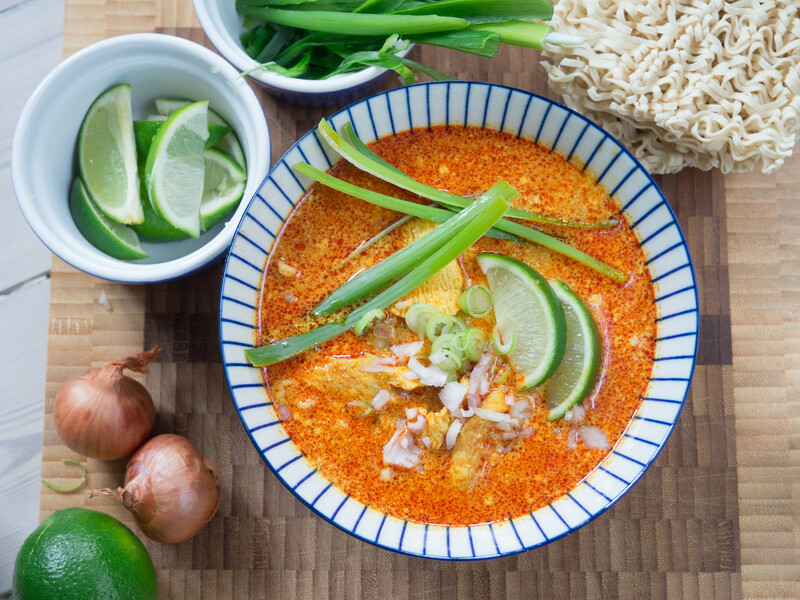 Tip: Serve this dish in a deep dinner bowl; first, some freshly prepared noodles, then some hot curry with chicken and finely sprinkle the top of this dish with some shallots, green onions and cilantro.